L&D Philadelphia - Partner Event - Harrisburg University - Fall 2018 Distinguished Lecture Series - Data Analytics & Applied A.I. 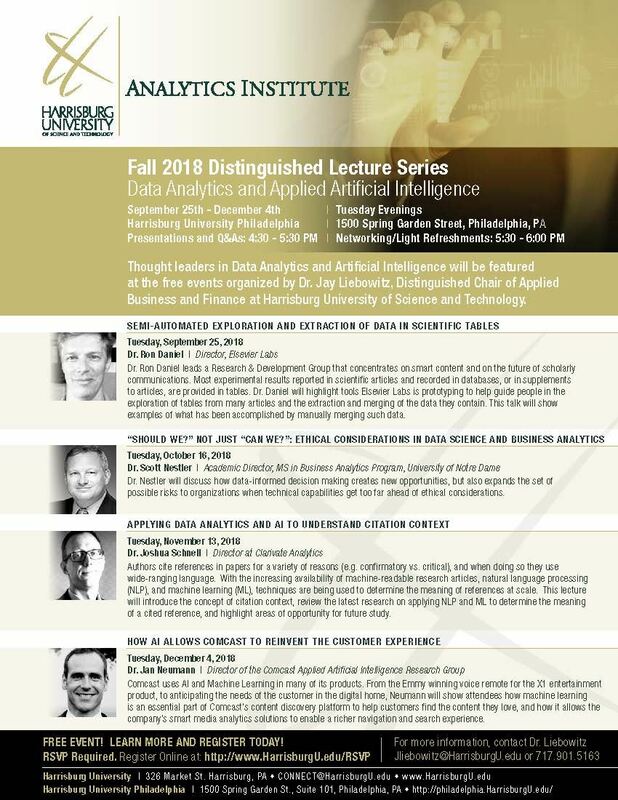 Partner Event - Harrisburg University - Fall 2018 Distinguished Lecture Series - Data Analytics & Applied A.I. Business and Finance at Harrisburg University of Science and Technology.